This week the talented twin sisters Wati Grossman and Yanti Amos have portrayed me on their blog. I look forward to showing my new pieces designed and created for fall and with trips to exotic places in mind. 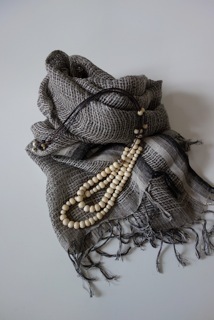 I'll also have a selection of beautiful scarves by Neeru Kumar for Pavo SF. and will have her unique South African bath and body products available for you. My daughters and I started the summer attending an informative and eye opening benefit lunch in Menlo Park for Roshni Academy on June 9th. The event raised funds for girls in India for the opportunity of pursuing higher education. Peace à Porter is a proud supporter. Here is a picture of Saima Hasan, founder of Roshni Academy surrounded by motivated, enthusiastic girls. 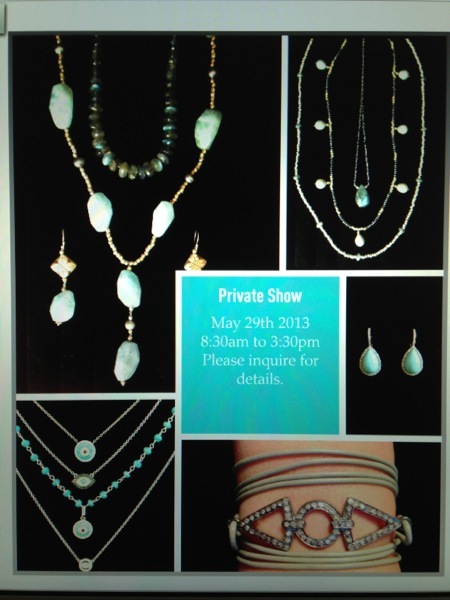 I am looking forward to showing my new pieces with my good friend and talented jewelry designer Marjan. Check out her beautiful pieces on Facebook - By Marjan. Her jewelry is shown below in the three bottom pictures. The two top pictures are all Peace à Porter jewelry. Thank you to all who attended our show last week. It was a lot of fun. Private Show Tuesday May 7th. Inquire about details. It is a warm, beautiful Saturday. I am getting ready to show my newest pieces at a private show on Tuesday. Come see us from 4pm and on, Friday January 25th. Or any other day when the studio is open.